You are in for a treat. The seven humans in the band, Do a Barrel Roll, are fantastic musicians. I first met the band at the inaugural Gamer's Rhapsody, a video-game-music convention here in the Twin Cities. They played a set and stole my heart (I've always wanted to say that). 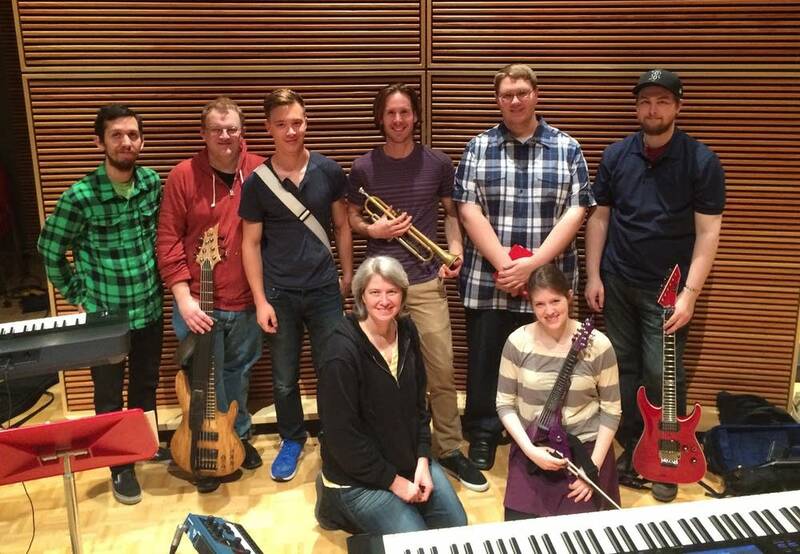 I invited them to come to the Maud Moon Weyerhaeuser studio here at MPR to record a set for YOU and ME. They did it, and you can listen to the results as well as to the conversation I had with Austin, Dan, Dani and Cierra. That's them playing live in the episode. Full disclosure: I'm marrying all of them. Austin Colden started the band in the fall of 2010 while he was a student at McNally-Smith College of Music, right across the street from MPR headquarters here in St. Paul, Minn. Austin, a guitarist, invited bassist Dan Brakke to join him. Austin's idea was to do an orchestral-rock video-game cover band. In addition to Austin's lead-guitar skills and Dan's bass skills, Erik Gustafson plays trumpet and keyboard, Cierra Hill plays a six-string electric violin, Dani Barstad is the drummer (percussionist, if you will), Tom Brooks plays guitar and Joel Thielman plays keyboard and manages many of the sound effects. To prevent myself from giving it all away, take a listen to this special episode of Top Score! Can't Let You Groove That, Star Funk!